We help companies and brands build app-based experiences that engage workforces, reach out to customers, and accelerate the achievement of their organisational goals. From our beginnings as the education division of a major marketing and advertising agency, 2and2’s unique mix of skills allow us to equip brands with innovative marketing tools that boost the bottom line and get existing and potential customers on your side. A workforce that is engaged - where everyone feels valued, supported and challenged, where individuals embrace their own autonomy while contributing to the organisation's goals - is a workforce that will be more productive and stable. At 2and2, we design custom digital solutions that onboard and motivate staff to be invested in organisation-wide goals. Whether it's health and safety, financial or legislative obligations, 2and2 can help embed a deep understanding of the complex issues that underlie an organisation’s compliance requirements. As specialists in initiating behaviour change, we’re deeply committed to leaving a legacy by helping individuals, communities and companies thrive in the green economy. We’ve partnered on many government-funded energy efficiency training programs for a range of industries including manufacturing, IT, HVAC, retail and small business, and have worked with such industry bodies as the AIIA, AMCA and Ai Group. Using the Cogniss platform, we find the perfect blend of games, interactive content, learning modules, rewards and social networking to effect desired learning or behavioural outcomes. Browse our extensive library of off-the-shelf games, modules, tools and resources that can be easily adapted to help organisations improve on any set of key performance indicators. Or, have us create something completely new. Cogniss combines neuropsychological techniques with a powerful rewards system to gamify and incentivise positive behaviour changes. Personalise rewards to reflect your company's brand. Backed by Cogniss' suite of AI engines, our solutions can make intelligent recommendations to individual staff and customers based on their behaviour, as well as adjust the pace of delivery of new information to ensure richer, stickier learning experiences. It's hard to know where you're going unless you know where you are. The platform’s data analytics product, Cogniss Insights, offers insightful dashboards and feedback tools that help track performance for both individuals and your organisation as a whole. The platform can facilitate meaningful interactions, feedback mechanisms, and task assignment between managers, individual employees and teams. Whether it’s building a visible portfolio of badges and achievements, setting up a lively discussion forum or forming teams for a friendly intra-company competition, Cogniss’ social network helps drive engagement and support positive changes. The platform’s flexibility allows us to create an app-based solution that complement any educational or training programs your business already has. Want to roll out your solution on a massive scale? No problem. Cogniss’ premium hosting infrastructure is designed to handle rapid scalability in both function and users from day one. Way to Grow helps educate and motivate time-constrained retail, cleaning and maintenance staff to develop sustainable waste management practices. 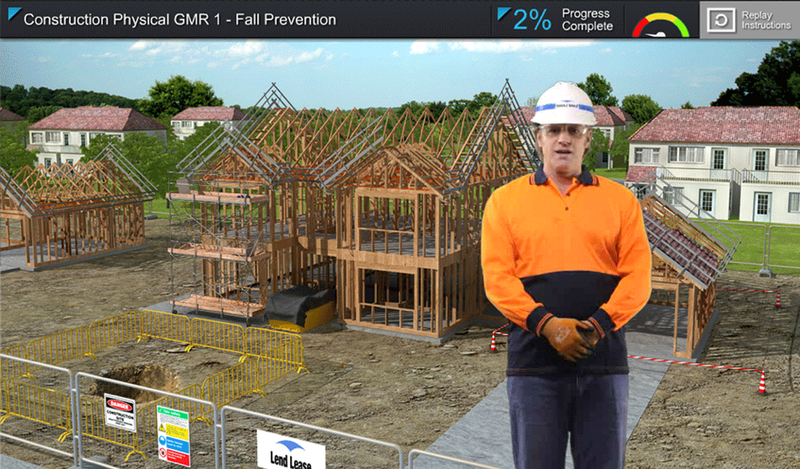 An immersive cross-platform game mirroring the daily challenges BHP Billiton’s global staff face, providing a virtual environment to test and develop real-world leadership skills.